How Often Should You Write to the Child You Sponsor? You just made the decision to become a sponsor. You downloaded the Compassion app and zipped off a nice little letter introducing yourself to that special kiddo. Now what? Do you wait to hear from him or her before you write again? Should you say “Hi!” every month? Can you send the adorable picture you took of your labradoodle at the beach RIGHT NOW? 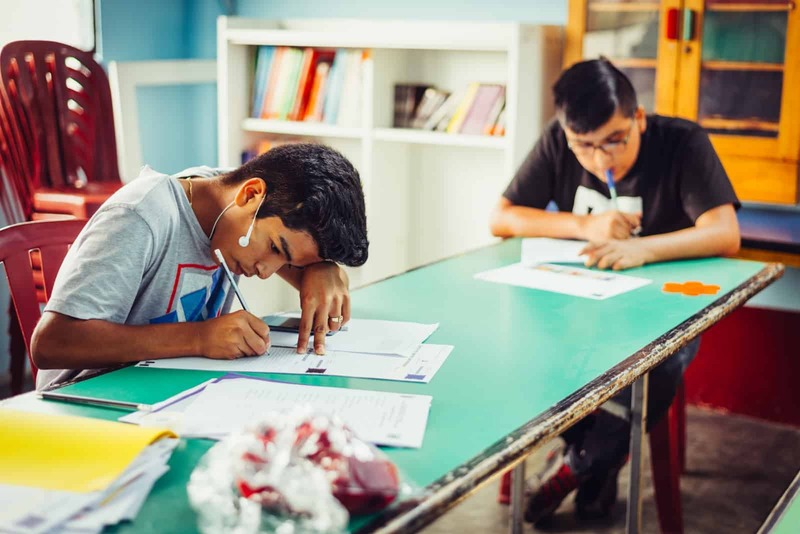 This month on the Compassion Letter Club, we, along with the dedicated tutors in Honduras whom you met a few months ago, are here to answer these and other important questions you have asked us this year about letter writing! To answer this question, let’s first start with how often you should expect to hear from the child you sponsor. 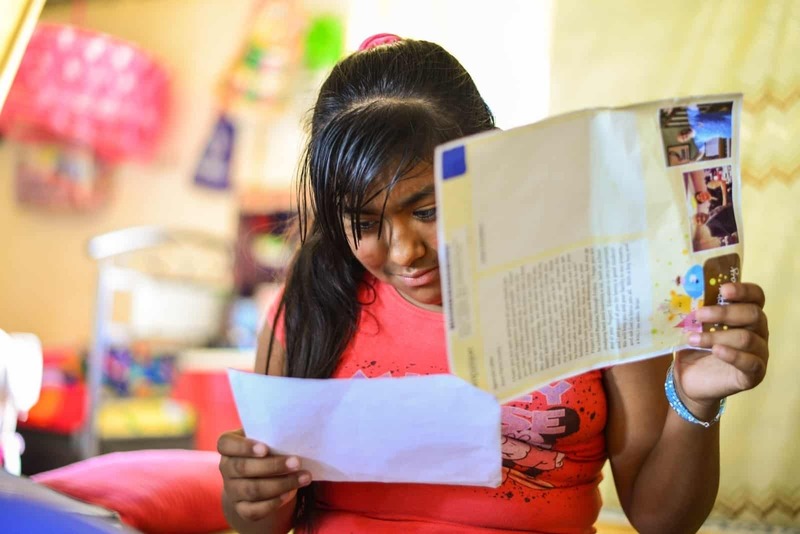 Children in our program will always write to their sponsors twice a year. Often the student centers will plan a special letter-writing day to inspire the children to share their lives with their sponsors in written form — something that is unfamiliar to many of them. Now, how often you write is completely up to you. But know that the child or teen you sponsor will write to you up to a maximum of six times a year, including any “Thank You” letters for the birthday, personal or family gifts you have sent. But just because children may write six times a year, doesn’t mean that you only have to write six times a year. Sometimes you have exciting news that just can’t wait! Maybe you just got married, got a new kitten, or you want to send a Christmas gift or birthday gift with a letter. “Sponsors can send as many letters as they want. But, those letters have to go through a process of translation. It takes awhile for a letter to get to a child because of the language barriers, delivery issues to the communities, registration and scan into the system, etc. However, we’re glad to see how this process is getting optimized and the time frame is reducing,” says Glenda Reyes, who has been a tutor for 14 years at PCDC. So what is the right amount? Your words are treasured no matter how often you share them. However, because letter delivery happens at least once a month* at Compassion centers, we recommend you write once a month. This means that once a month when letters are passed out to all the children, you get to put a smile on their faces because they know their new friend cares for them! Third, show an interest in their culture and share yours. 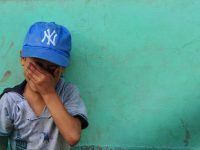 “We know that most of the sponsors do not speak Spanish, but when they include some words, phrases or Bible verses in the child’s language, that unfolds expressions of happiness and appreciation in his face. 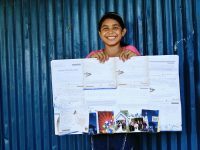 We love to see how some sponsors make some research about our country and include drawings of our flag, traditional foods and customs in their letters,” shares Alicia. Fourth, tell them how much they mean to you. “Beneficiary children love to hear that their sponsors put their letters and drawings in special places. 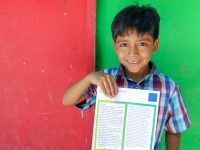 Some sponsors share with the children that they put the letters on the front of their refrigerator, or that they keep the children’s photos on their desk at work,” encourages Osiris. 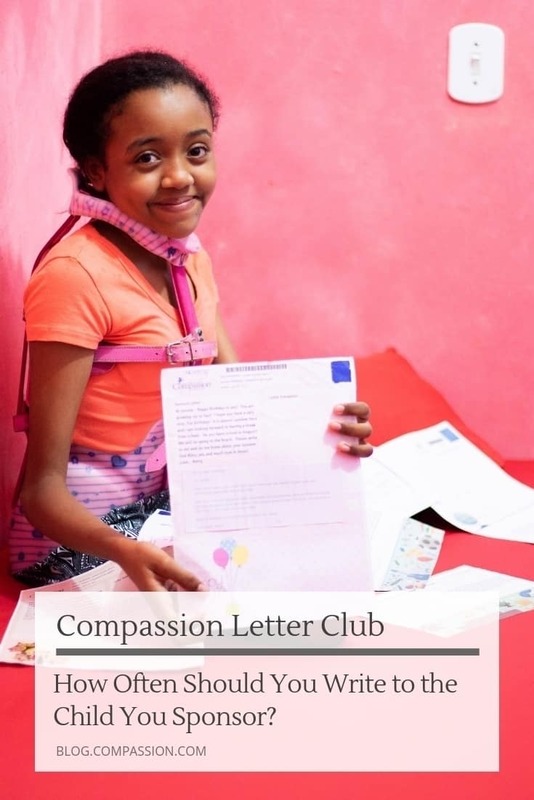 As a Compassion alumna, Débora has a unique perspective when helping the children write letters. 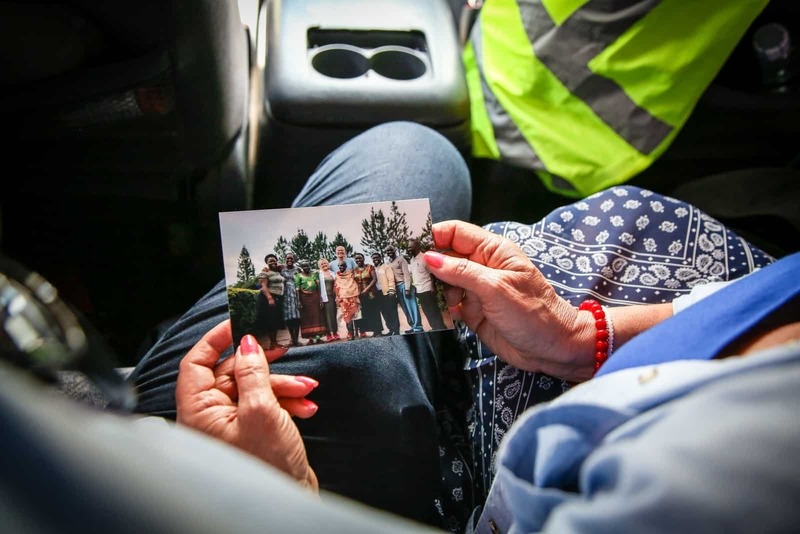 “Most of the sponsors not only send long letters, but some of them include photos or postcards of the country where they live, or about a family vacation that they had. But what puts a big smile on the children’s faces is to see their sponsors pets’ pictures. They love to hear about dogs, cats, horses, cows, or animals that are not raised in Honduras like kangaroos,” Débora says. Don’t have pet? Don’t worry! How about sharing a picture of a place in your community that means something special to you, or a postcard from your state? “It’s very important to teach children about their sponsors’ countries and cultures. Children know by heart their sponsors’ name and the country that they’re from. 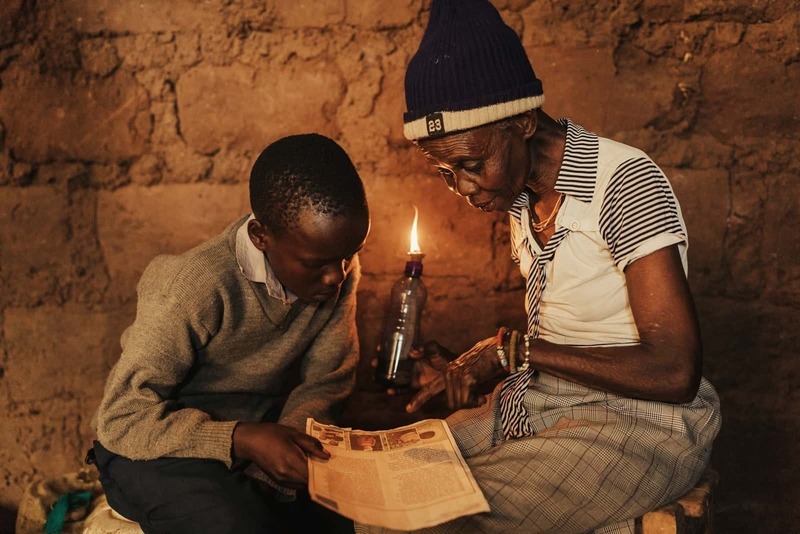 When the sponsors include pictures or postcards that represent their countries, then that helps children to create a picture in their minds of the place where the sponsors live,” Glenda states. The time you take to share your world and encourage the child you sponsor in a letter is worth more than you can imagine. With Christmas just around the corner, it’s the perfect time to write a Christmas card and send a Christmas gift along with it. *Correction: A previous version of this article stated letter delivery happens once a month. Some student centers deliver letters more than once a month. How Long Does It Take for My Letters to Be Delivered? Where Do Children Keep Their Favorite Letters From You? Prev Post:How to Fight Defeatism About Poverty in the WorldNext Post:What Gift Does the Child You Sponsor Get at Christmas? So today I received a repeat of Derara”s not fullyn translated letter and two copies of Miim’s last letter Do I need to find my own translator? The letters – especially the last – from my oldest sponsored child in Ethiopia seem so considerably longer than the three line translations I receive. I wonder if I am receiving the full translation. This is important to me, as I ask questions this older youth never seems to address, but uses what seems to be stock and practiced respsonse.